Tanya Shepherd has been successfully assisting clients from across the United States in meeting their immigration needs. Tanya’s practice revolves around placing an emphasis on building a strong professional relationship with each of her clients. This includes taking the necessary time to explore and discuss all immigration options and the immigration process so that clients feel educated, involved, and satisfied that their immigration needs are receiving the high level of priority they deserve. Tanya has been in the field of law since 1997 and has been a practicing attorney in several areas of the law since 2002. Tanya is a member of the American Immigration Lawyers Association, and she has experience with a variety of immigration cases. She handles family based cases (such as adjustment of status, I-130, 245 (i), K-1/K-3 visas, etc. ), temporary worker petitions (such as H-1B, E-1/E-2, etc. ), and immigrant worker petitions (including Labor Certification under the PERM regulations). Tanya graduated with a law degree from the most prestigious university in Thailand, Chulalongkorn University. Tanya next set her sights on obtaining a law degree in the United States. In 2002, Tanya graduated with honors from the Gonzaga University School of Law and passed the Oregon State Bar exam. 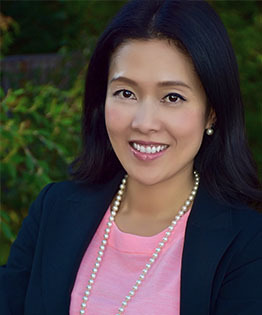 After admission to the Oregon State Bar in 2002, Tanya chose to pursue a career as a corporate attorney at the Bangkok office of Clifford Chance, a reputable English law firm with more than 30 offices worldwide. While at Clifford Chance, Tanya was part of the merger and acquisition team and worked directly with international clients from a variety of countries around the world. Her experience included assisting a well-known Japanese car manufacturer in acquiring a big car manufacturing business in Thailand. She also assisted foreign investors in setting up companies in Thailand in order to expand their businesses. Tanya’s work allowed her the opportunity to interact with many foreign investors. As a result, it has strengthened her ability to understand, relate to, and work with people of many different cultural backgrounds. In 2004, Tanya immigrated to the United States in order to join her husband. Having been through the immigration process herself, Tanya understands the stress and difficulties the process can cause.